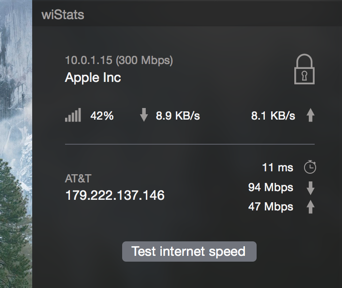 wiStats is a Mac Today Extension Widget that shows WiFi network informations and lets you test your internet connection speed. Local IP, remote IP, signal strength, transfer rates and bandwidth information always available. Try it! Need support? Get in touch via Twitter or E-mail.